The second day of WEST ESSEX MODELRAIL 2013. 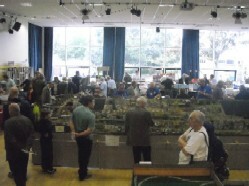 The first day of WEST ESSEX MODELRAIL 2013. We must be doing something right, as the weather changed just in time for our Open Day on Sunday 07 April, and then turned cold and wet again! Unfortunately we only had the diesel electric loco running as the steam loco's boiler is currently being worked on, and it began to flag towards the end of the day, but an enjoyable and succesful day was had nonetheless. Thanks to all those who turned up after our long closure, especially to those who had to wait a long time for a ride, and we hope to see you all again in May! 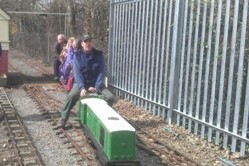 Due to the work on Chadwell Heath Station we were unfortunately unable to hold our Steam Days throughout 2012. We are happy to announce that we will be reopening on 07 April, though it may be more an 'electric day' than a 'steam day' as our steam locomotive is undergoing essential maintenance and may not be ready in time. 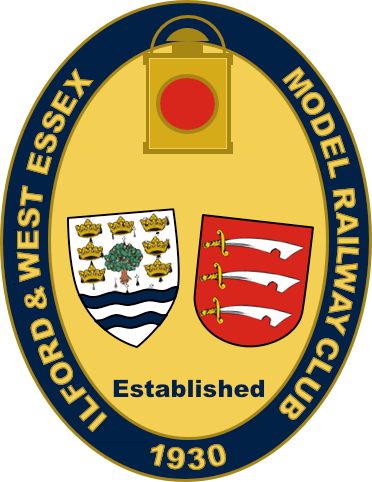 However we will still be operating the miniature railway and offering train rides, and running various of the layouts in the club house. And as always, refreshments will be available all day!